Stress Relief at Falvey! Thursday, December 10 and Friday, December 11. Falvey Memorial Library will be co-sponsoring a series of events in order to help students relieve stress during finals time. Events will include an open house featuring games and free snacks and refreshments, therapy dogs, stress-relieving workshops organized by POWER (Peers Offering Wellness Education and Resources) as well as free massages courtesy of the Campus Activities Team. All University publications, both print and online, adhere to AP style. To be consistent with University publications, Falvey’s online and print publications also adhere to AP style (see FML Style Guidelines). month abbreviations—When a month is followed by a date, abbreviate only the following: Jan., Feb., Aug., Sept., Oct., Nov. and Dec. Do not abbreviate months used alone or used with only a year. Just remember: names with five letters or fewer do not get abbreviated. Those months names also happen to be consecutive: March – July. 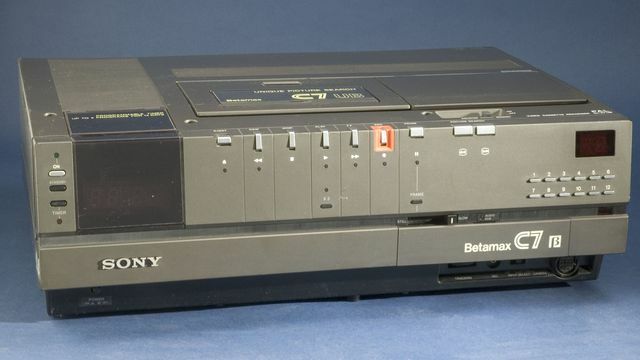 In news “shocking only in that it reminded people that Sony is still making Betamax tapes,” it’s being reported that Sony will cease making Betamax video cassette tapes in March, 2016. The tape players themselves were no longer manufactured after 2002, but apparently the tapes were still in usage in some industrial and other obscure circles of geekery. Read about the great JVC VHS vs. Sony Betamax war of the 1970s-80s in the online book, Corporate Disasters. It’s always hard to study on a Friday. Need some background music? Try this beautiful piano cover of “Fawkes the Phoenix” from Harry Potter and the Chamber of Secrets. Happy birthday, Whoopi Goldberg! The famed and beloved actor and comedian turns 60 today. 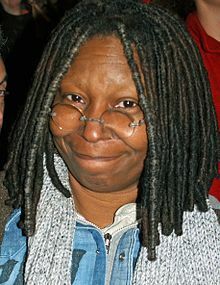 Did you know that Whoopi has won an Emmy, a Grammy, a Tony, and an Oscar? She’s got a whole party of statues in her cabinet, and is one of the very few entertainers who can claim all four.